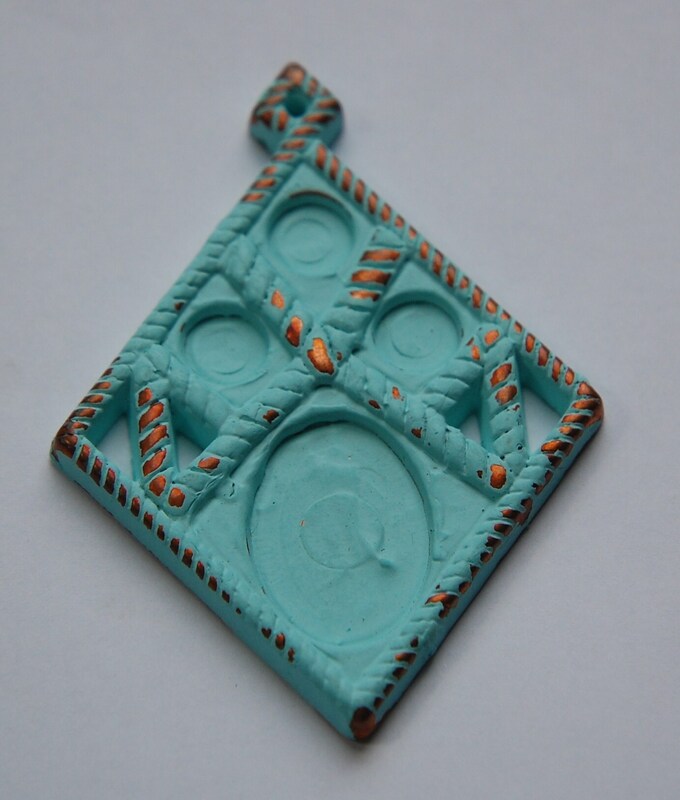 This is a vintage acrylic pendant done in a copper color with a turquoise wash. These have sort of a rustic feel to them. The large setting will hold a 25mm X 18mm stone. There are 3 round areas where you could set an 8mm stone. The piece measures 75mm long X 57mm wide. You will receive one pendant. almost like a rubber material, not sure what I'm doing with it yet but still like it! Very cool, can't wait to get it set! Thanks!